Looking like a modern, evergreen sculpture, its eye-catching form adds intrigue and style in the artfully designed landscape. 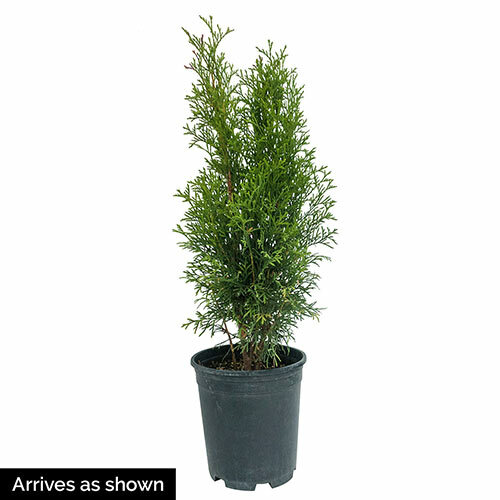 Tall, thin and conical, it will grow 12–14' high, but its dense, evergreen foliage will spread only about 3–4' wide. Plant one by itself as an accent, several next to each other as a hedge or many along your landscape's perimeter as a privacy screen. 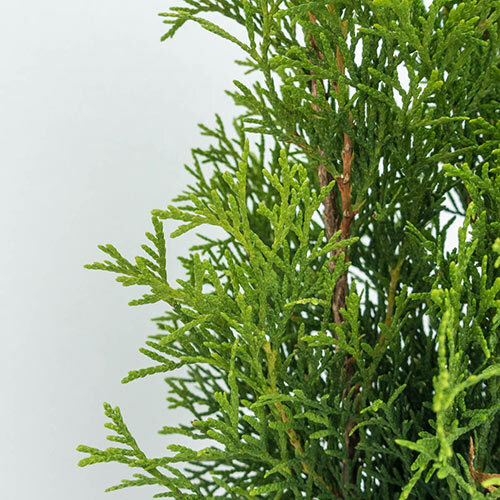 Easy to care for year-round. 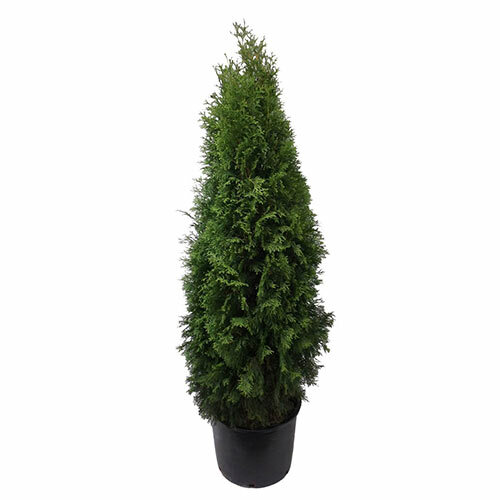 Start growing your Emerald Green Arborvitae this summer—we're shipping it now, in a 1-gallon container.